In part one of this Basic SEO series we discussed the importance of setting up a solid website and choosing the right keywords. Next we will explore how to build your brand through local and social listings. Google loves brands. Google also loves consistency. One way you can boost your brand’s SEO value is by using the same business description for yourself everywhere.Use the same basic “tagline” or description on you website and for any local listing or social profile. 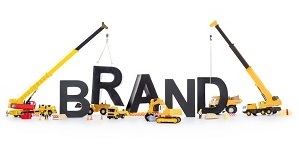 Google will recognize this consistent branding and rank your social profiles higher. The NNA does this by using the same tagline in every social profile: The Nation’s Largest Association for America’s 4.4 Million Notaries. So find a tagline that fits your business and stick with it. Are you on Yelp? Angie’s List? Google, Yahoo or Bing Local? Are you a member of the local Chamber of Commerce? Are you listed on YellowPages? Are there directories for Notaries in your area? As a service provider, your name and correct contact information should be on all of these websites. Do a quick check and search “Notary + your location” and see what comes up. Can you get a listed on any of the top resources? 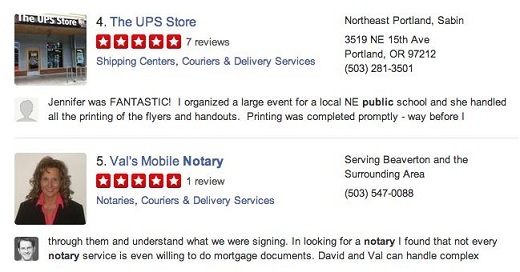 Here’s a screenshot of results for “Notary Public Portland OR” on Yelp. In my top 10 results, I only had two results for Notaries, and the rest were a variety of shipping companies that also had Notaries on staff. Clearly many Notaries are not taking full advantage of what Yelp offers by claiming a listing there. Helpful tip: Yelp also feeds a lot of mobile searches — just another reason to add yourself as a local business. An essential part of getting listed on websites like Yelp, Yahoo, and Bing are the reviews. If you can get three or more reviews on your page for excellent service you’ll stand out among the crowds of Notaries without reviews. Not only will you get more customers, but listings with reviews tend to rank higher. Set up a personal Google+ page for your signing business. When people search “notary + your location”, you want to show up as one of these results. (The screenshot below shows the results for “notary signing agent Anaheim.”) You can also use Google+ as a place to promote your content and any new information about your business. It gets indexed very quickly and your Google+ listing will show up as more active than most. Since many businesses are not yet taking advantage of Google+, this is a great place to get a head start. SEO and social media didn’t always go hand-in-hand. However, in the past two years, activity on social media sites started influencing search results, making it vitally important to have a social presence as a business. In many ways, social media is more effective than some SEO tactics. Don’t go overboard and sign up for every social media platform that you can think of. Start small and make sure that it’s manageable for you to post content on a regular basis. Probably the most effective way to network as a Notary is via LinkedIn. Connect with businesses you have worked with in the past: banks, real estate agents, auto dealers, title companies, etc. Optimize your profile by filling it out completely and including keywords that you’d like to be found for. Join groups and contribute to discussions when possible. All of this will help you be seen as a thought leader in your field of expertise. The NNA has several LinkedIn groups for the different industries of the Notary as well as our own business page that we invite you to connect with. You can also set up a Facebook page for your business and encourage all your friends to “like” it. Post content that is relevant to your target audience: articles that you’ve read about notarization and legal updates, your thoughts on the industry and owning your own business, even tasteful humorous content. Engage with organizations like the National Notary on Facebook and join our lively discussions. Another great way to get business is via Twitter. People often tweet when they are looking for a Notary, and if you can find that tweet and respond to it, you might be able to land an additional signing. 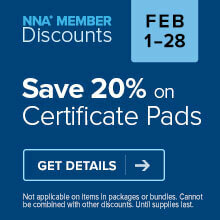 The NNA twitter account re-tweets those looking for a Notary so our followers can take advantage of that opportunity. All of these SEO tactics are fairly simple to implement – or with the help of a tech-savvy college student. As a mobile Notary, these strategies will help boost your local search rankings and drive leads. It’s important to consider that if you live in one area, you may also serve adjacent counties or suburbs. While you want your location to be your actual business (or home) on your website and on many local listings, you can specify that you serve multiple counties or a larger metro area. Be sure to check back next week for the third part of this series to see what SEO strategies can be used to convert referral traffic into actual leads for your business! I will be trying your suggestions in hopes that I can find a way to get more business. I sure need the help. Thanks for your article.